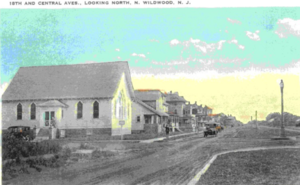 A historical picture of Central Bible Church in its neighborhood. Our Denomination: Orthodox Presbyterian (OPC). We're Conservative and Reformed. The OPC does mission work throughout the US, and in Asia, Czech Republic, Haiti, Quebec, Uganda, Ukraine, and Uruguay. This page was last edited on 19 February 2019, at 16:44.